Would you like to enjoy a nice meal? 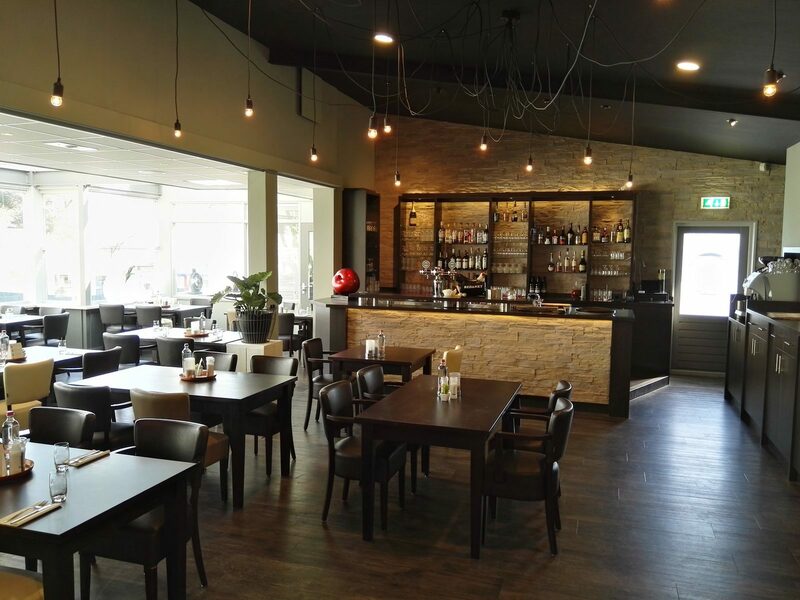 At holiday park Ackersate, you can enjoy fresh and excellent meals every day in our Restaurant Het Karrewiel! 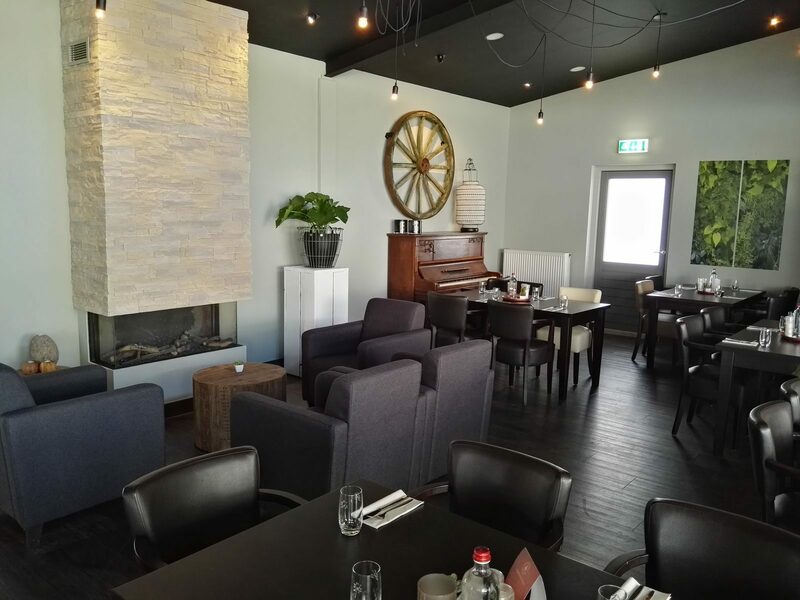 The restaurant is cozy and has a modern look. The perfect place to go out for dinner during your holiday. Also you can enjoy a cool drink on the spacious terrace during the hot summer days. The restaurant is known for only serving meals that are made with fresh products. The menu changes with each season, so you will always be surprised by new and delicious seasonal dishes. 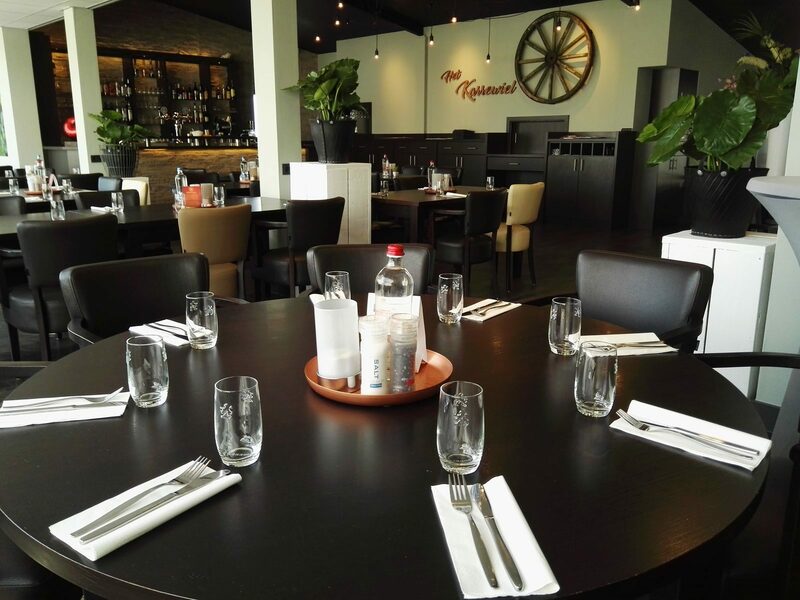 Reserve your table now (www.restauranthetkarrewiel.nl). You can also come to us for meetings, anniversaries, or family reunions! At Holiday Park Ackersate, we offer various options for making these events a great success. Curious? 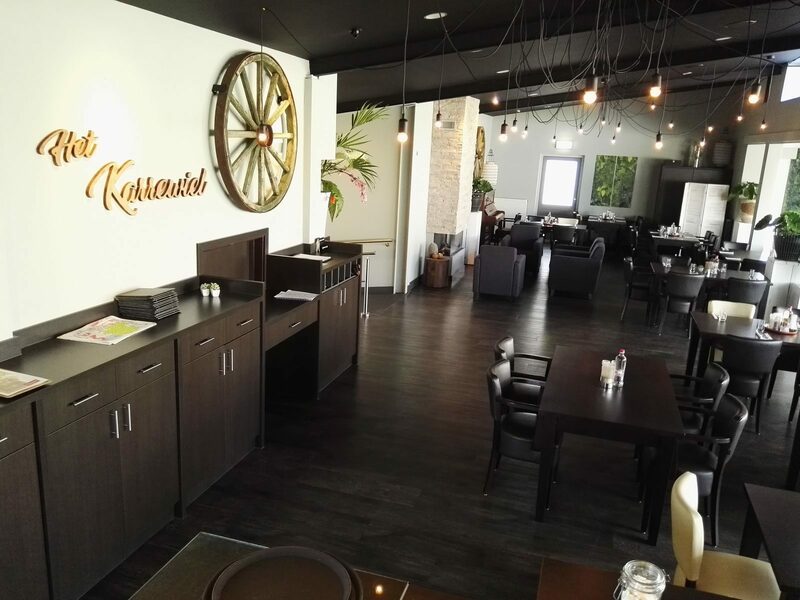 Visit the website of Restaurant het Karrewiel and contact us. 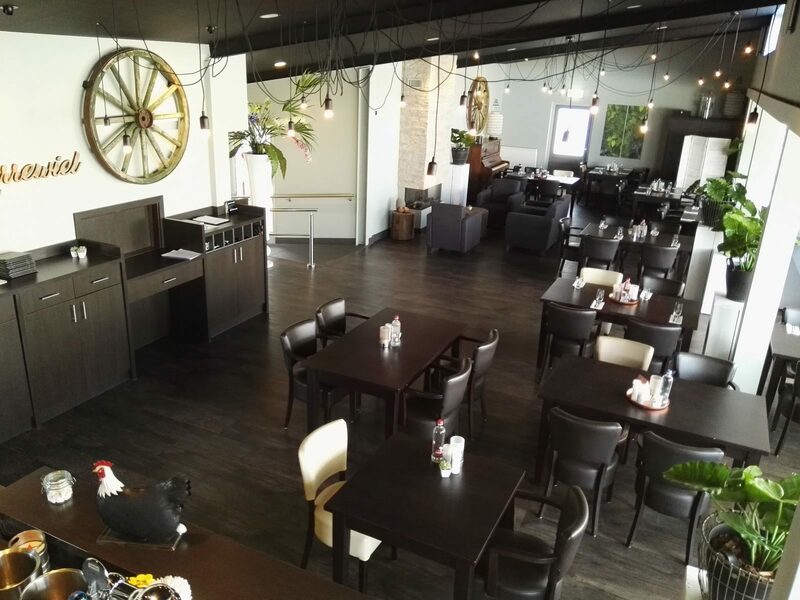 Take a look at photos of Het Karrewiel below. We also accommodate conferences, anniversaries or family reunions! Holiday Park Ackersate offers various options to turn these events into a great success. Did we pique your interest? 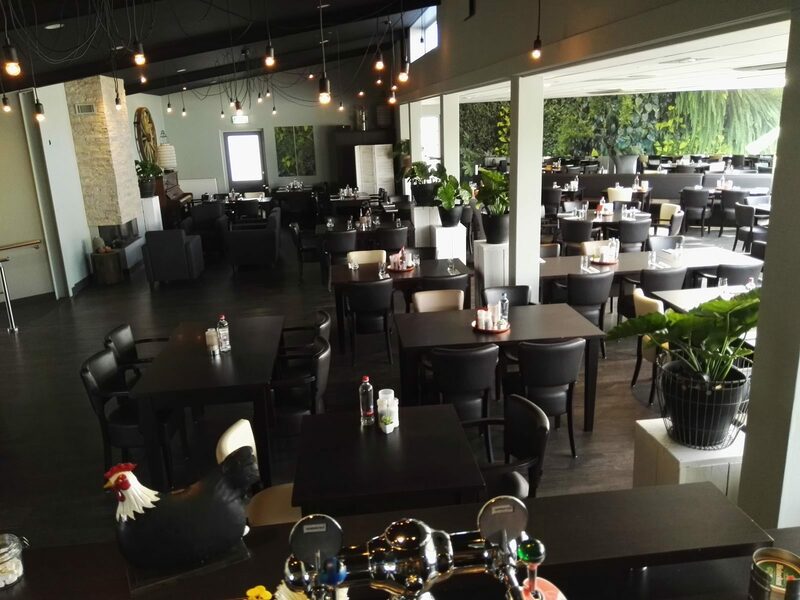 Visit the Restaurant Het Karrewiel website and contact us. Take a look at some photos of Het Karrewiel below.